WPM MidSouth is built on the core values of Integrity, Strength, Energy, and Excellence. We take pride in our work. We have passion for our profession. We believe success is the result of insanely talented teams committed to being of service. We earn the confidence and trust of our clients by paying attention to the details, relentless improvement and exceeding expectations.  WPM MidSouth is an obvious choice for your multifamily investment. We were formed by the union of WPM Real Estate Management, AMO® and Robinson Sigma Development. Our combined teams have hundreds of years’ experience in the management, development, ownership, asset management and financing of multifamily communities. In addition to property operations talent, we bring internal expertise in online reputation, marketing, service, due diligence, construction, business intelligence, accounting and consulting resources. WPM MidSouth should be the only choice if you believe achieving your goals are best accomplished by delivering world class service to Residents and creating communities that feel like home - everyday.